Problems related to jaws can be very awful. 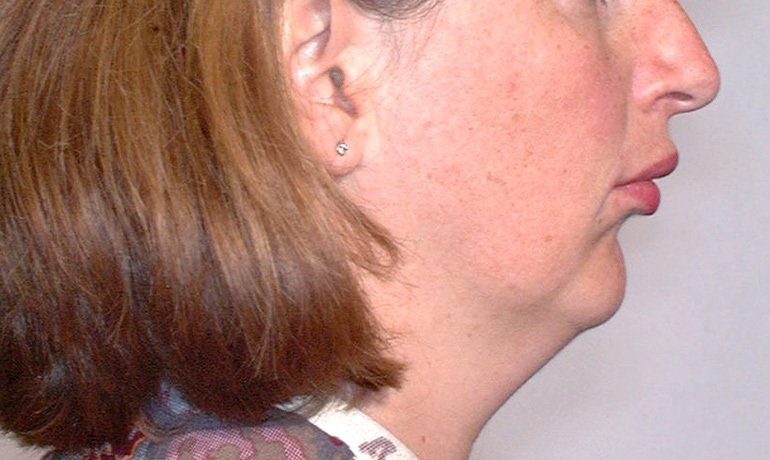 There are various kinds of problems related to the jaw. One of the problems is the Micrognathia. Micrognathia is the condition where the jaw is undersized. It is also called mandibular hypoplasia. This symptom is commonly seen in the infants, but it heals with the process of growth. In some children, this problem causes abnormal teeth alignment. This happens when the teeth do not get enough space to grow. It leads to an asymmetrical growth of jaw, which interferes with the feeding and breathing process of the child. One of the major and only reasons behind the occurrence of this problem is genetic transfer. This is the common reason behind it. In other cases, the reason is unknown. This is one of the serious problems, which seriously interferes with the process of life. However, this problem has a perfect solution too. Before you go for the solution, you must know the symptoms of Micrognathia. Some of the common symptoms of this problem are discussed below. This can give you a better idea about the problem. Apneic spells: This problem results in a temporary stop in the breathing process during sleep. This is one of the common symptoms of this problem. The inability to feed: Another vital symptom of this problem is the inability to feed. Generally, this problem offers a hindrance in the process of feeding in children. A symptom of prolonged feeding: For the problem micrognathia, the children often show the problem of prolonged feeding. Noisy breathing is observed: This is another vital symptom of this problem. The patient may show a problem of noisy breathing. This occurs due the insufficient space in the mouth. Poor ability to sleep: The disturbance in sleeping is a common symptom of this problem. It results in very poor ability to sleep. Bad weight gaining: another vital problem of this disease is the improper weight gain. Due to improper food intake, it leads to improper weight gain. These are some of the usual symptoms of micrognathia. If you see any of these symptoms, then you should go for proper treatment. If you are worried about the problem of treatment, then you will be glad to know that there is perfect treatment available right away. There are various treatments available for the patients of micrognathia. By judging the seriousness of the problem, the doctors recommend either long-term or short-term treatments. These treatments are very beneficial for people. It completely relieves the patient from all the pains and problems. It restructures the jaw by positioning it in the right place. If your child is suffering from the problem of micrognathia, then you should not worry anymore because the right solution is waiting right there for you. Go ahead and give your child a new life.